A New England native, raised in Massachusetts, Benjamin Moore is a distinguished real estate agent in Boston, MA. Innovative marketing strategies, exceptional ethical standards, superior negotiation skills and most of all, premium service, are what distinguish Benjamin as a leader in the industry. It's Benjamin’s goal to design an effective client-specific plan to attain optimal results. Benjamin has a true love for real estate as an industry and an even bigger love for people. It's this combination that allows the client's experience to be an enjoyable one. For buyers, Benjamin has an unrelenting ability to find the perfect match for anyone, no matter how long it takes or what the task entails. For sellers, Benjamin is keenly aware of all variables that go into marketing a property to bring the highest and best offer to the table in a timeframe that is suitable to the client. 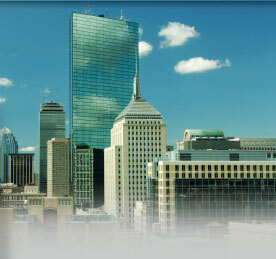 Benjamin is constantly earning enthusiastic referrals from his past clients in virtually every neighborhood in Boston. Together with Luxury Residential Group’s network, Benjamin is more than happy to satisfy any real estate need anywhere in Massachusetts.